Happy weekend before Thanksgiving, everyone! We’re so close to the official onset of the Christmas season, which always brings me a sigh of relief, because I get to mainstream my love of all things Winter/Christmas/Solstice/Holidays/Magical-Warm-Fuzzy. I have been listening to the music of the season at intervals for two or three weeks now, because it brings my heart a simple joy that I see no reason to deny. What could be wrong about allowing yourself true joy and warm fuzziness? In that spirit, combined with one of efficiency, I decided last weekend to engage in a holiday-related project. Unsurprisingly, it was also food-related. You see, our garden season, though less successful in some ways than in last year’s due to a very busy schedule and less TLC than normal, yielded us sooooo muuuuuuch squaaaaaash. Which is great! Organic, heirloom winter squash is sort of expensive because it weighs so much; it keeps in cold storage very well; it’s the perfect hearty vegetable for dinner on chilly Northwest evenings. Just a portion of the bounty. 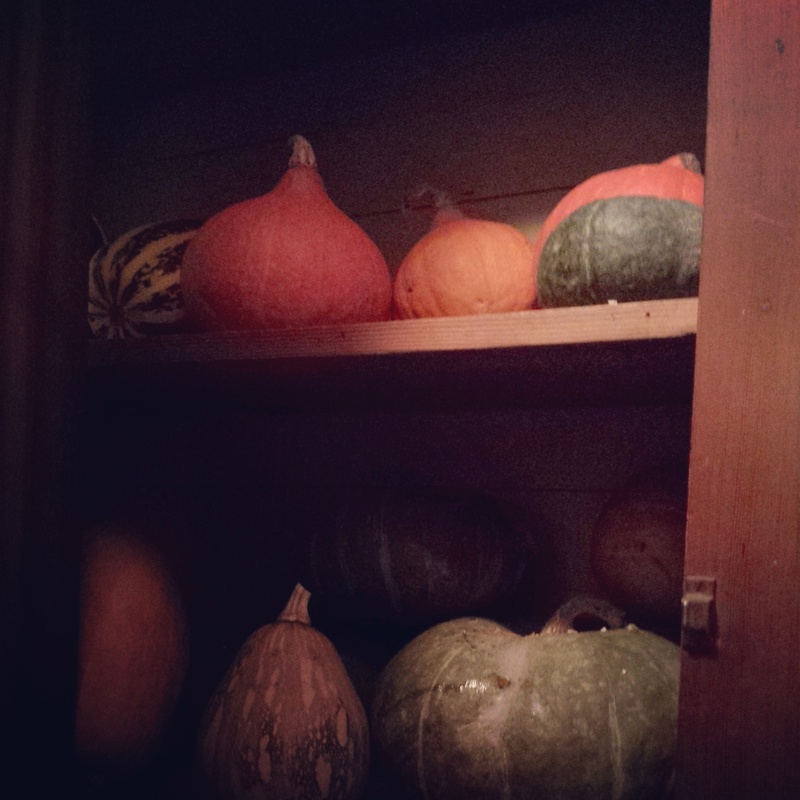 The point: my cellar runneth over with squash. AND it’s pumpkin pie season. AND I didn’t grow any pumpkins. So I thought to myself – there’s butternut squash curry and pumpkin curry. Pumpkin ravioli and other winter squash ravioli. Why can’t pumpkin pie spice coexist with another variety of winter squash? 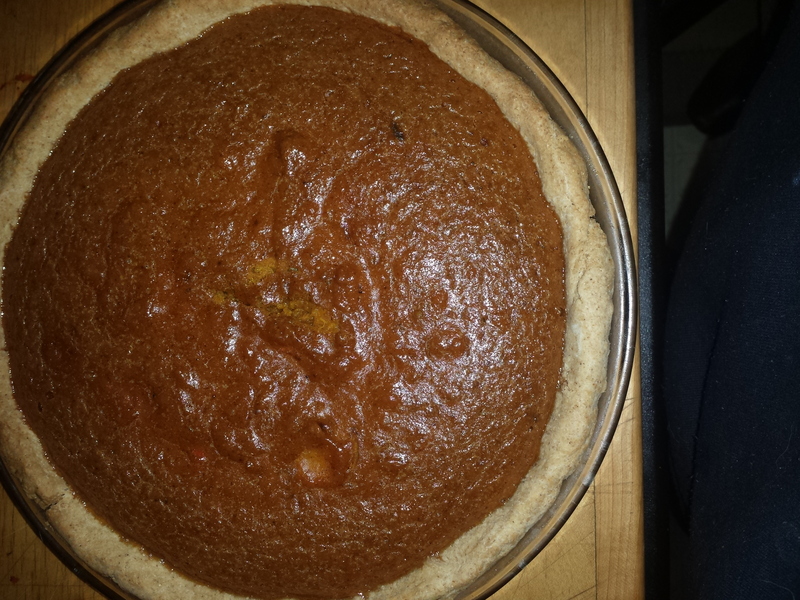 The pie above, made with red kuri squash, carried the flavor best. The spices melded together perfectly and it was delicious. The pie above,made with butternut squash and a couple of seeds left on top to distinguish it, had the definitive pumpkin pie texture. Though I had to pour it runnily into the filling and was worried about its ability to set properly, the consistency was best of all three – creamy, light, and just yummy. 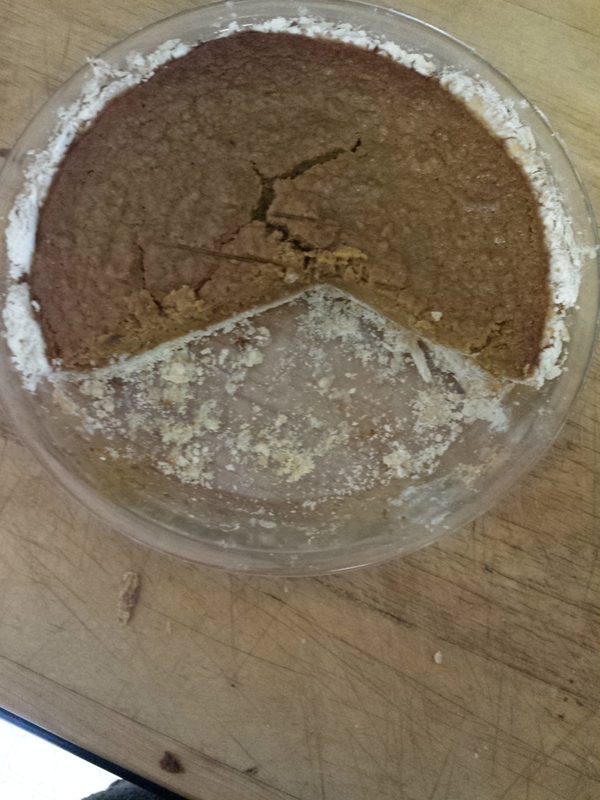 The pie above – the actual pumpkin pie – was “great.” In a blind tasting, though, a couple of people said “this is great, but definitely isn’t the pumpkin pie.” I found it a little fibrous, even though it was pureed just like the others. There were no complaints about any of them, and lots of happy moaning. So there you have it! 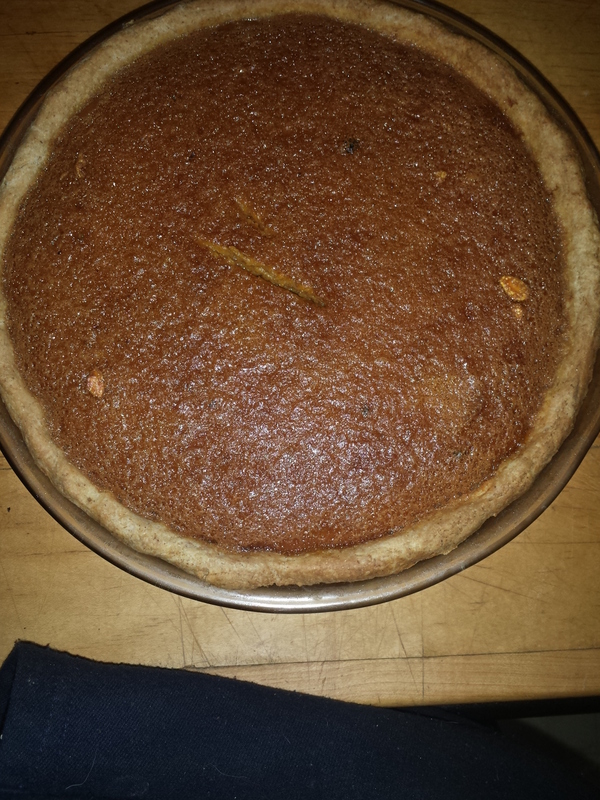 The conclusion: You can make a “pumpkin” pie out of the winter squash of your choosing, and even the discriminating of your household guests will flock to it and be satisfied. Pour into your favorite unbaked pie shell. Bake in a 375-degree oven for 25 minutes covered, then 35-45 minutes uncovered. Savor with freshly whipped cream. Happy Thanksgiving and official-beginning-of-Christmas to you all! 22 Nov	This entry was published on November 22, 2014 at 3:00 pm and is filed under Collection. Bookmark the permalink. Follow any comments here with the RSS feed for this post.